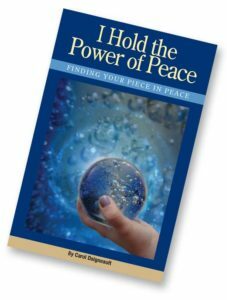 There is a common household accessory that can help to increase your abundance, power, clarity, self-image and more. 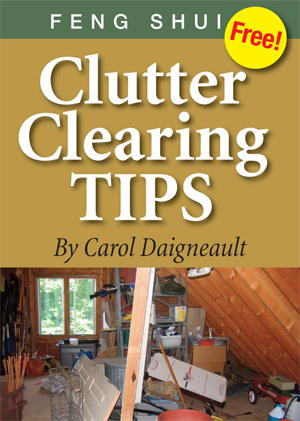 Often underutilized and sometimes misunderstood, it is one of the most versatile and powerful Feng Shui tools. I’m talking about mirrors. Used properly, mirrors are a great Feng Shui enhancement. The last in my series outlining each of the ten Feng Shui Energy Boosts, mirrors join water features, wind dancers, sound makers, and more in their ability to increase the vital Ch’i energy in a room. Like faceted crystals, they not only build energy but can direct it as well. I’m not much of a mirror person. They are not the first decorative accent I think of when I start to enhance a space. Artwork or color would likely come first for me. On the other hand, my mother-in-law loved mirrors. They were in the living room, hallway, bathroom, behind the basement bar and near the side entry door. They all looked great, and she loved them – good Feng Shui. That being said, I have installed many mirrors in my home strictly for Feng Shui purposes, and I enjoy their impact very much. A lot of beneficial energy can be generated when they are placed properly. Let’s delve into the possibilities of using decorative mirrors in Feng Shui. Give them a try and let their versatility improve and enhance the Feng Shui of your home. Our image in this mirror would appear cut up and distorted. The first consideration for choosing a mirror for your Feng Shui Energy Boost is to be sure that the glass is clean and clear. Vital Ch’i energy is reflected and multiplied in the mirror’s surface so one that is foggy, mottled, antiqued, cracked or altered in some other way is discouraged. It is now popular to see many offerings where the surface of the mirror is divided into smaller sections. An assortment of frames may be combined to make one decorative piece or a larger surface may be divided into sections. Mirrors reflect back to us, and these approaches chop up and distort our view of ourselves. This is the reason that mirror tiles are also discouraged. I would avoid this application totally and choose mirrors with a solid sheet of glass. Any self-image glimpsed in this oddly placed set of mirrors would be incomplete and confusing. One large, vertical mirror on the wall behind the faucet would be preferred. It is most important to hang your mirrors so that you can see the entire head of each adult in the home on the surface of the mirror. I have seen over and over, especially when used as decorative features, mirrors hung at a height at which the viewer’s head may be severed in the reflection. Mirrors show us our own self-image, both literally and symbolically. In a practical sense, if we struggle to “see” ourselves while dressing because we must strain or stoop to get a proper view, over time our self-esteem may decline as well. Feng Shui cautions that in a symbolic sense, seeing only part of ourselves in a mirror may manifest as a limited view of our potential or only a partial understanding of our situation. Give all your mirrors the Feng Shui height checkup to be sure you are getting the full view of yourself and your life. Mirrors also direct energy to smooth out and direct Ch’i flow. There are many subtleties to this depending upon the placement of the interior features of the structure. Here are some of the more common uses for Feng Shui adjustments using mirrors to direct and build Ch’i. 1. When you enter the home, the ideal situation provides a view of the room entered, and a glimpse of the space beyond. When we come through the front door and are immediately met by a solid wall, the Ch’i is constricted and directed back outside. As you can see by the graphic at right, remedy this situation by placing a large mirror on the blocking entry wall to extend the space. In addition, add a wind chime to the ceiling to circulate the energy back inside the home. 2. Is your home a complete square or rectangle? If not, when you apply the Feng Shui Bagua Map to your home’s floor plan, there may be a part of your Bagua that is outside of structure. The irregularity may be adjusted with a decorative mirror placed on the wall adjoining the area that is outdoors. At right, add a mirror to either Wall A or Wall B. This symbolically extends the energy of the interior space into the part of the Bagua that is outside of structure, making a more complete Feng Shui shape. 3. Stoves are a symbol of wealth in Feng Shui. The most productive placement of the stove is in the Power Position. When the cook stands at the stove, she should be able to see the entrance door to the kitchen and not be in line with that door. When the stove is placed against a wall, it is not in the Power Position. One Feng Shui remedy is to place a mirror on the wall above the stove. Sometimes this placement will not allow the person to see their full image in the mirror as recommended above. In this instance, the ability of the cook to get a glimpse of those approaching from behind is more valuable. The mirror also symbolically “doubles” the number of burners (and thus wealth) on the stove which is an added bonus. A mirror in the dining room doubles the abundance on the table. 4. As you can see by the photo at right, putting a mirror on the dining room wall is also seen as doubling the abundance on the table. Be sure to hang the mirror so the reflection doubles the table’s image rather than other features in the room. In ancient China, a family that was well fed was considered prosperous, thus Feng Shui’s extra attention on the stove and table. 5. A mirror may also be placed over a fireplace to adjust the elemental balance. In Feng Shui, the Fire Element of the fireplace can be, when necessary, reduced by the Water Element represented by a mirror. This mirror position could make you think there are extra people in bed with you! 6. In Feng Shui, hanging mirrors in a bedroom is not recommended. They can disorient a groggy sleeper who awakens in the night. Anyone lying in the bed at right could be very confused and perhaps distressed if not fully conscious, after seeing the image of additional people in the room! If you have an attached bathroom in your bedroom, keep the door to that room unadorned. I almost knocked myself out in a hotel room that had a mirror on the bathroom door I was so disoriented! Additionally, a mirror’s ability to magnify and direct Ch’i increases the amount of energy in a room that should be the calmest in the home. These are just a few reasons why the use of mirrors are discouraged in bedrooms. 7. There is one exception when you might decide to put a mirror in the bedroom. If there is no viable way to place your bed in the Power Position, adjust a bed that has no view of the door by strategically placing a mirror so that, when lying in the bed, the door is reflected in the mirror. Three different Feng Shui Bagua mirrors. You may have heard about Feng Shui Bagua Mirrors. Traditionally, they come with a frame which defines the various Bagua areas. I’ve also used them without a frame. In most cases they are 3-6” wide. These mirrors are a very powerful cure, and I recommend you use them only after a Feng Shui consultant has analyzed your specific situation. Only placed outdoors, choosing a convex or concave mirror while assessing all of the structures, utilities, vegetation and other factors is best left to a professional. Do you have any mirrors in your home? Are any modifications needed? Perhaps you could add one? Mirrors are a wonderfully versatile Feng Shui tool. When used properly, they can help to provide a beautifully meandering Ch’i flow throughout your space. How will you add one to your Feng Shui home? Feng Shui your own home. Get your FREE DOWNLOAD now. 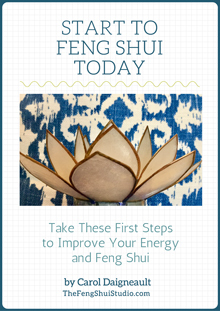 You can expand your Feng Shui efforts with my free download, Start to Feng Shui Today, or you can contact me to schedule a personal Feng Shui telephone consultation. However you address enhancing and improving your home with Feng Shui, know that your efforts will contribute to a better feeling space and a more balanced world.